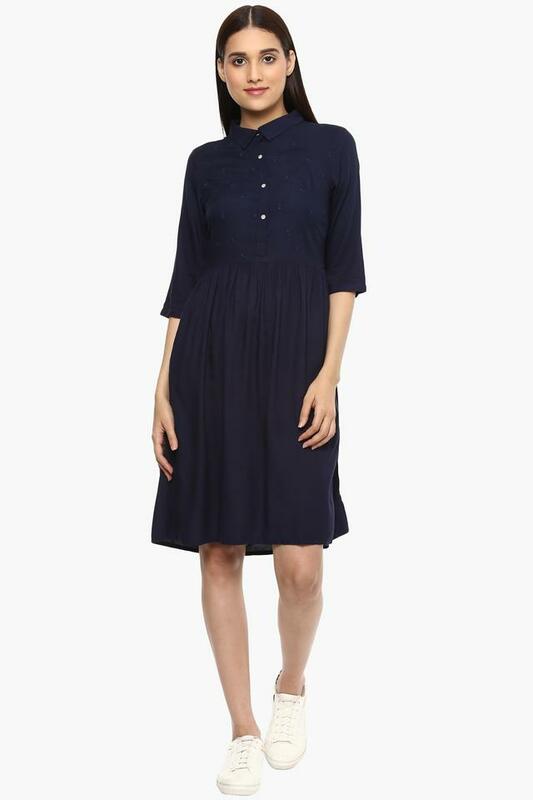 Synonymous with refined style, the coveted brand, Van Heusen introduces this shirt dress. 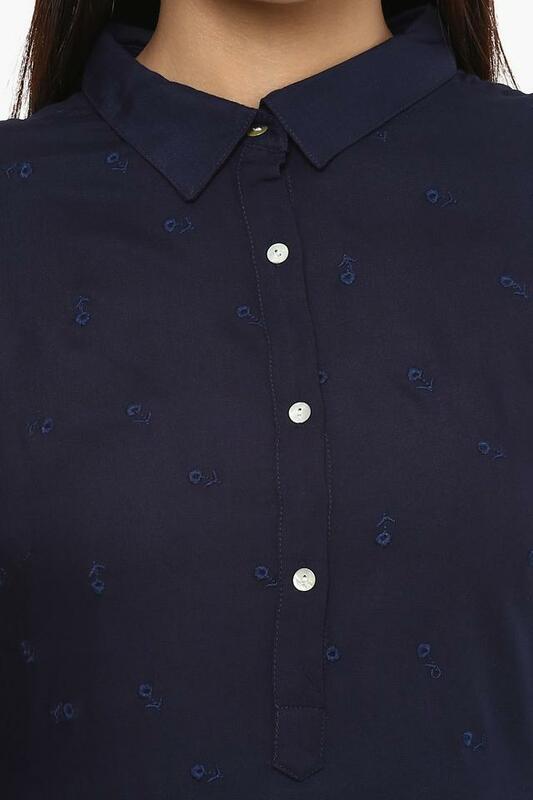 It has been crafted from premium quality viscose fabric, which will provide a soft touch against your skin. Above all, it features a solid pattern along with an embroidered detailing at the front that makes it all the more appealing. 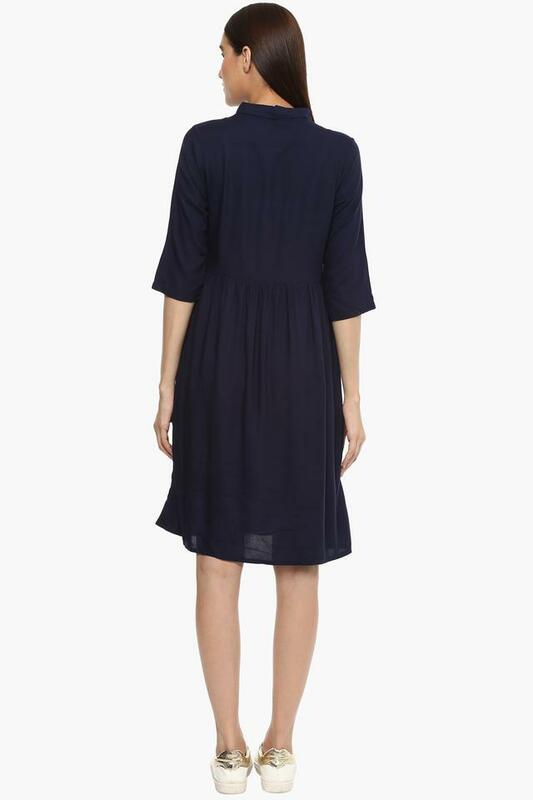 Walk the streets like a diva by wearing this shirt dress which features a collared neck and three quarter sleeves. Team it with a pair of gladiator sandals to complete your casual look.